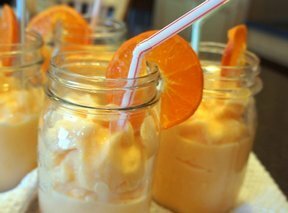 One of the most refreshing ice-cream and sherbet beverages to serve for any occasion. When the temperatures begin to rise this summer, this is the perfect beverage to serve to bring them back down. It is a special treat that everyone is sure to enjoy. There is nothing like homemade ice cream during those hot summer days. See step-by-step how to make your own ice cream. See how easy it is to dress up your next fresh fruit salad with this watermelon basket as your serving bowl.